﻿Silence is a Healing Cave is the first book of poems in English by the Quebec poet and novelist Yolande Villemaire. The Japanese haiku form offers Villemaire the freedom to reflect and enlarge the poetic themes of her French-language texts on more intimate terms. Like a pebble dropped into the infinite pool of being, these poems resonate with large meanings and succinct observations. The poet has achieved a quiet refuge in the interior silence of the healing cave of the self. 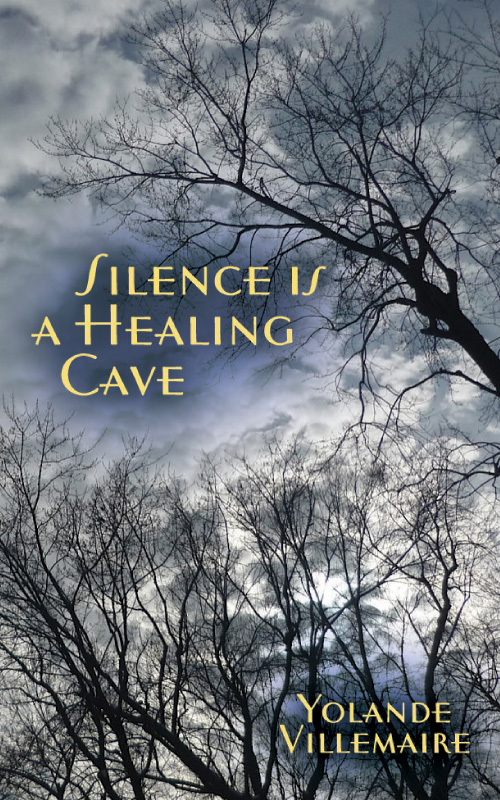 Silence is a Healing Cave rewards readers with a deep mindfulness that lingers long in the heart. Yolande Villemaire is one of Quebec’s most prolific writers, proficient in both poetry and prose. She has given poetry readings and performances around the world. Her novel La vie en prose won an award from the Journal de Montreal in 1980 and her poems, L’armoure received a Radio-Canada award in 2002. She also received a Quebec-Mexico poetry prize in 2008 and the Career Award from Quebec’s Council of Arts and Letters in 2009. Also in 2009, she was a guest of honor at the Festival de la Poésie de Montréal. She has published more than twenty-five books, four of which are available in English translation from Ekstasis Editions: Midnight Tides of Amsterdam, Poets & Centaurs, India, India and Little Red Berries. Yolande Villemaire lives in Montreal and is the director of TOTEMPOÉSIE.